This year is the first on record in which a developer has made positive noises about a Halo sequel appearing on PC. But noise is all it is for now, and the INSTALLATION 01 team aren’t content to sit on their hands for another decade. 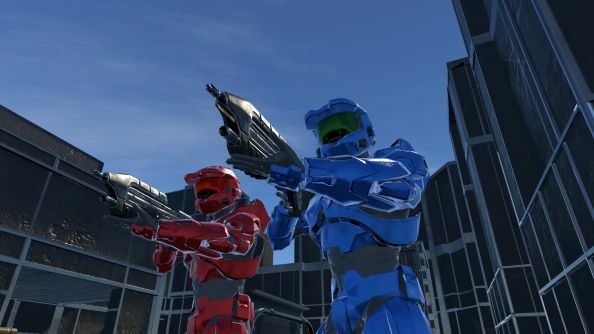 The international fan outfit have set about constructing a multiplayer sandbox in the vein of Halo 3 – a very unofficial project that’ll pull in the best elements from the series as a whole. Have you played all of the best first-person shooters on PC? In the week since the video went live, half the internet has put itself forward for recruitment on Reddit – but apparently there’s already a tight team at the helm. “I have worked on many projects before, and the team currently working on INSTALLATION 01 is by far the most dedicated group of fans I have ever seen,” says 3D modeller Ian St. John. Most are building portfolios for future careers in game design, and as the trailer makes clear, are convinced they’re safe in the Cease and Desist department. Let’s hope so! When was the last time you played Halo multiplayer?